I've been a little quiet of late on the forum, partly due to time spend modelling some standard gauge stock and partly due to a lack of inspiration. 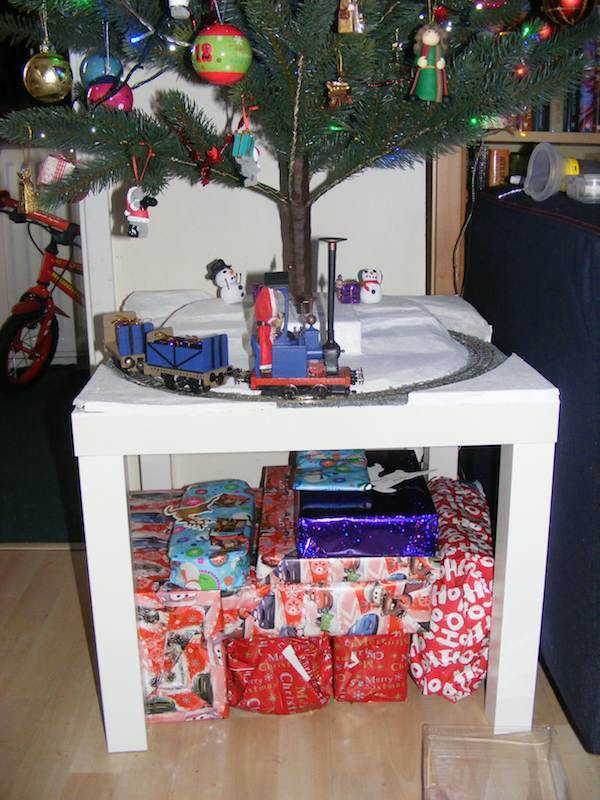 However, my wife asked me to build a layout to go around the base of the Christmas tree this year and an idea was sown. 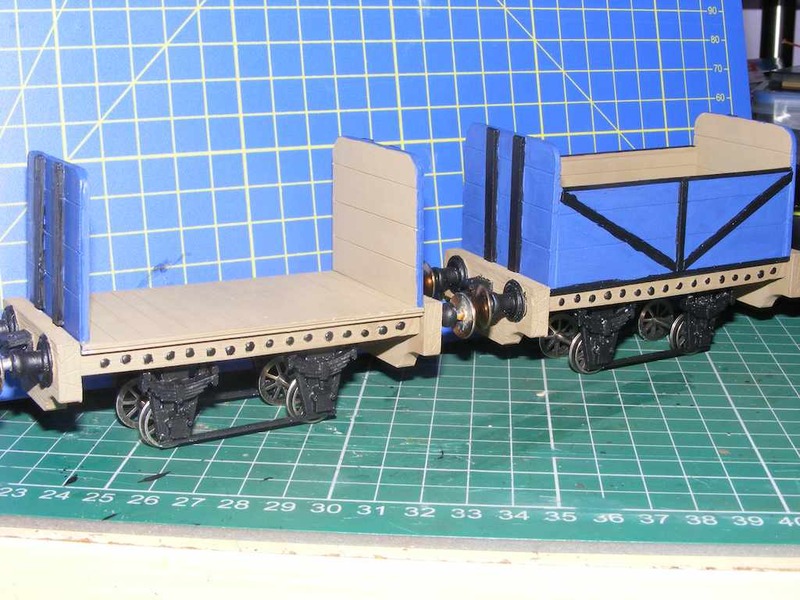 Stock for the layout will consist of 3 Smallbrook Studios kits - a Nellie kit and 2 wagon chassis which I'll scratchbuild bodies for. 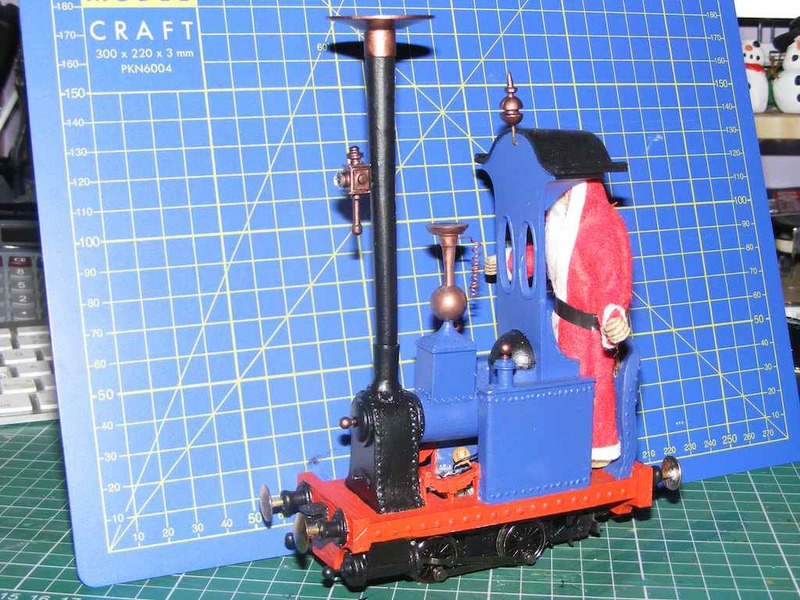 The Pratchett twist is that I'll be using characters from Hogfather on the layout. The train will be driven by DEATH dressed as the Hogfather (a Papo skeleton with a red cloak, false beard and cushion strapped around the middle), the hogfathers sleigh will sit in front of the tree base pulled by 2 boars (the excellent Schleich figures), other details will occur to me as I go along I'm sure! 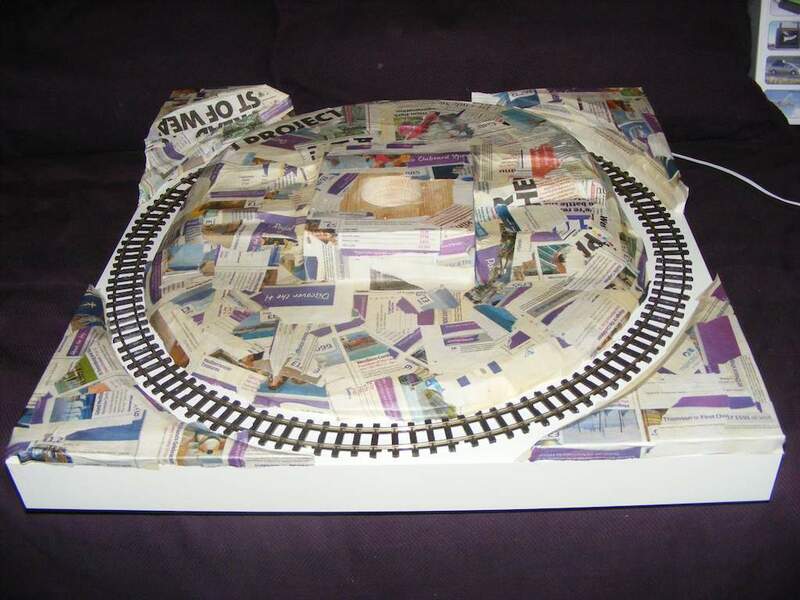 More updates as the layout progresses (next up will be the papier mache over the polystyrene. Last edited by backwaterscotland on Fri Jun 30, 2017 8:32 am, edited 2 times in total. It will be very interesting to see how the two worlds overlap. I look forward to future instalments. Good start with the layout. Isn't that a bit dark for the merry time of Christmas ???? In-spite of that I am looking forward to seeing it progress. 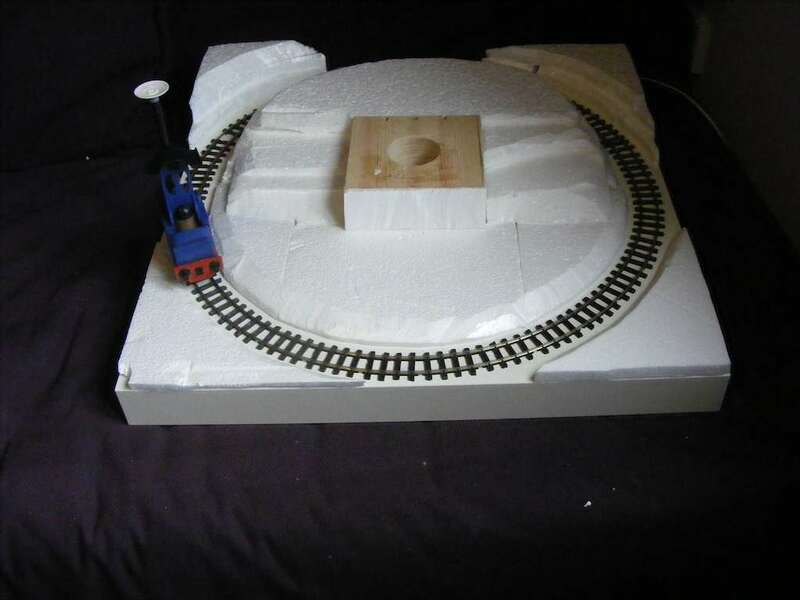 Inspired idea for a layout, look forward to seeing this one progress. Adrian - I think you'll be surprised how un-dark this one could turn out, have a read of Hogswatch, its a cracking read and a brilliant mirror to our own xmas festivities (I read it every year but then again I also like muppets christmas carol so perhaps I'm not the best judge ). Not really, in the book DEATH is dressed as the Hogfather and is a comical character with the false beard and cushion up the front of the outfit. Hopefully Death of Rats and Pixie Albert will make an appearance depending on me finding suitable figures of around the right scale. I got lucky in that the Papo skeleton scales out at around 7'6" in 1/24th. I'd like a Susan as well. Wonder if anyone does an orangutan for the librarian! RobM wrote: Wonder if anyone does an orangutan for the librarian! Interesting idea - look forward to seeing the results. 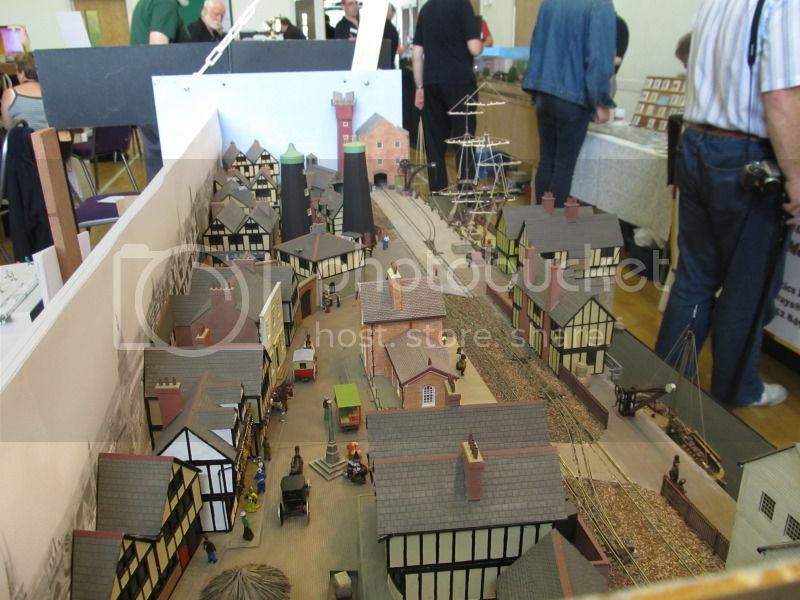 there is actually a OO9 layout based around Ankh-Morepork (or however you spell it) which features a lot of the Pratchet locations and characters - very good it is too, I saw it at the members day at Water Orton a few weeks back. Si wrote: Interesting idea - look forward to seeing the results. Progress report - slow but steady. The Smallbrook studios "Nellie" kit is mostly finished. Last edited by backwaterscotland on Fri Jun 30, 2017 8:33 am, edited 2 times in total. Like their snowmen, neat! And that newspaper company appears to have a thing for purple. Willow Creek Traction wrote: And that newspaper company appears to have a thing for purple. Holiday supplement from the free "metro" newspaper -most of what you see as purple is blue + yellowing newspaper + wallpaper paste. 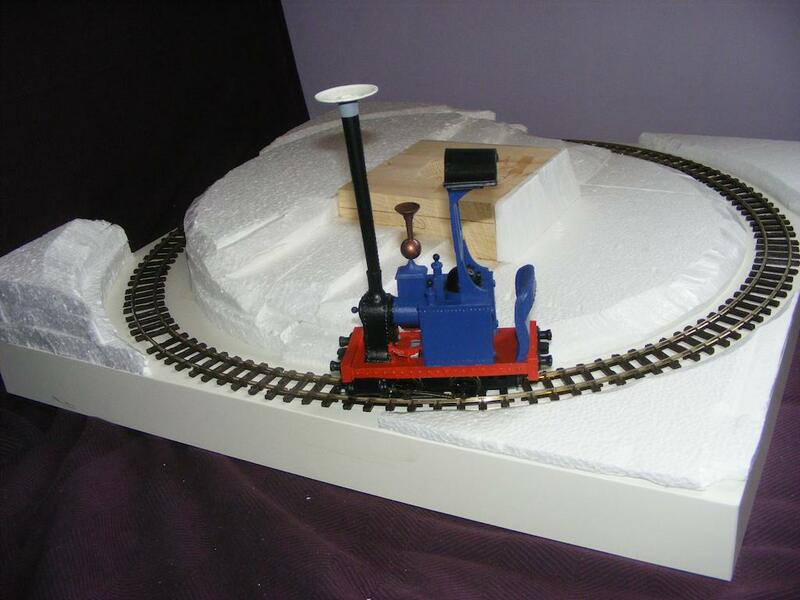 Good seasonal idea for a layout. Nice to see polystyrene and papier mache being used. My recent layout used the same construction! Interestingly the Ankh-Morepork layout was at the exhibition I visited today.I had seen it before, but I had a nice chat with the builder/owner. One point I raised was whether he had asked for permission to use the theme, and yes he had contacted Terry Pratchett and it was OK to proceed. One other point that came out was that the originator/writer/producer of a story might be quite happy to allow someone to build a model based round the theme, but the trade support that has paid to use/produce products based on the work might not be so keen. It's also a totally different case if someone produces commercial models based on someone else's idea/book or film. Don't want to say more as intellectual property rights is a thorny issue with some, and is not simple. 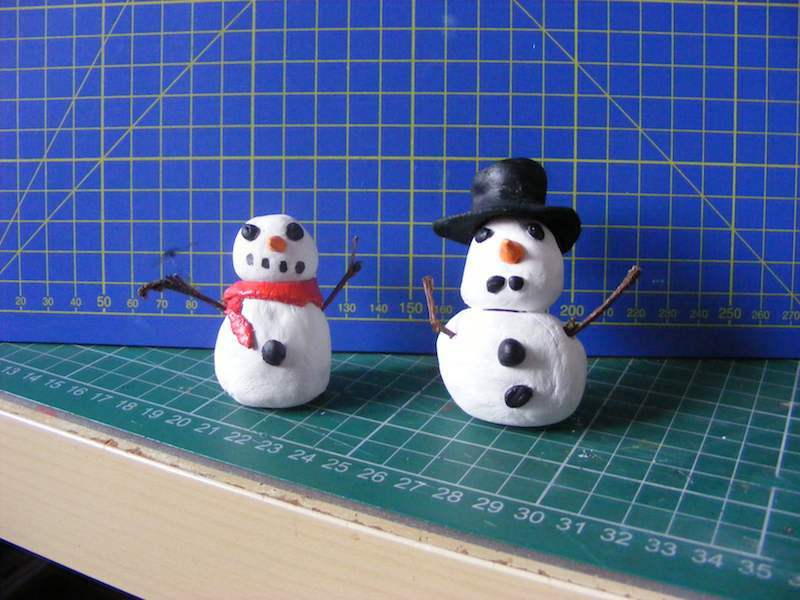 Papier Mache has been given a coat of matt white emulsion and then some Woodland Scenics snow. 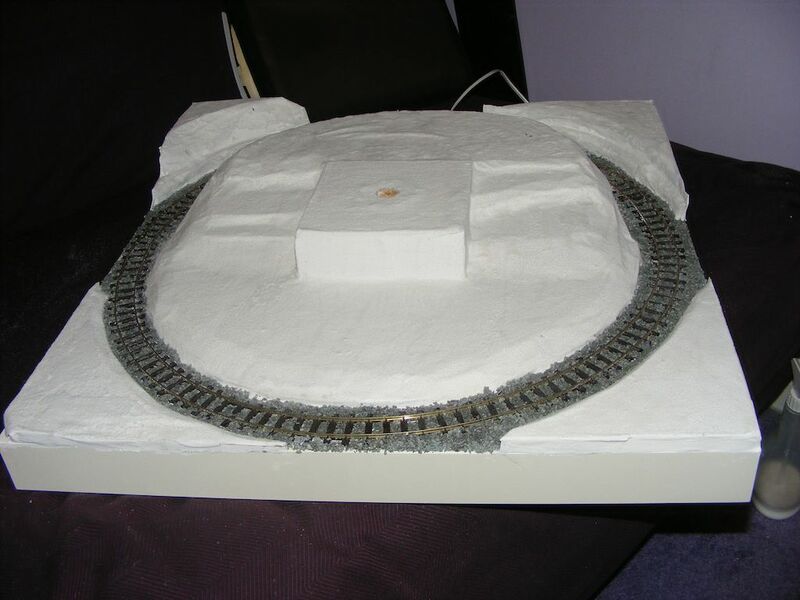 Track has been ballasted with granite ballast. Hopefully, the layout will get the tree and details installed over the weekend and I'll get some pictures of the completed layout early next week. Last edited by backwaterscotland on Fri Jun 30, 2017 8:34 am, edited 1 time in total. Just realised I never posted a photo of the finished layout! Quite a few things didn't get done - Death of Rats, the sleigh with the boars and some of the detailing but I can come back to it next year. p.s. 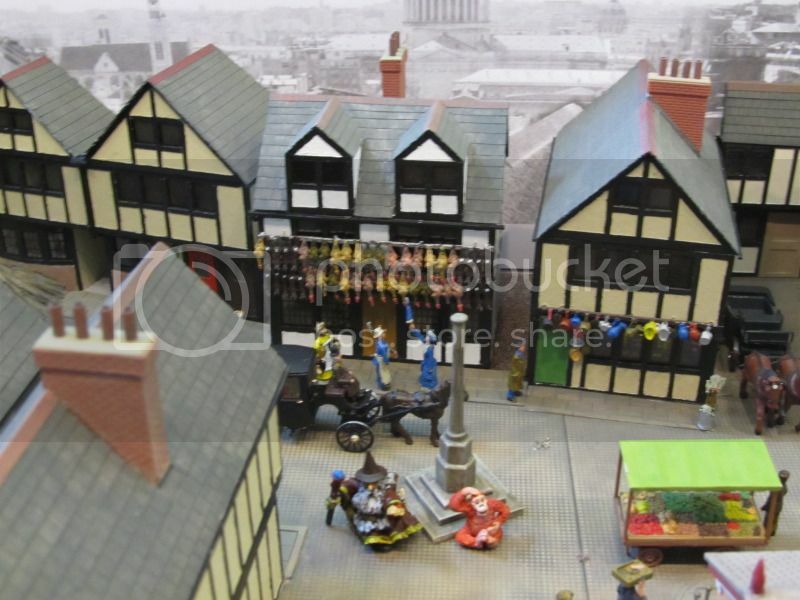 the Pratchett layout which Si posted photos of is in the new issue of Railway Modeller. Last edited by backwaterscotland on Fri Jun 30, 2017 8:34 am, edited 2 times in total. I made a GnATTERbox search for "papier mache" and I found this old but very interesting topic. Here is my newbie question: How can I make this "paper mache" thing ? Thanks by advance for all your answers. backwaterscotland wrote: Progress report - slow but steady. Laprairie wrote: I made a GnATTERbox search for "papier mache" and I found this old but very interesting topic. Here is my newbie question: How can I make this "paper mache" thing ? Papier mache is just ripped up newspaper and wallpaper paste. Mix up wallpaper paste, apply layer of paste to surface (in this case polystyrene), cover surface with pieces of newspaper, more paste, more paper, repeat until about 3 or 4 layers of paper thick and then leave to dry. Once dry you end up with a hard shell that can then be painted and scenic material added on top. Paper mache seems to be very easy to make for a newbie like me. There is an even easier method, which for me originated here. Liquidising old paper in a blender is something I have been messing around with for a few years since Michael told us of his experiments. It is even easier using cheap toilet roll, which just needs to be soaked in water, and mashed up by hand. I have not tried it for scenery yet, but see no problem, as the mash can be applied to a wire netted framework(it does need to be heavier grade with smaller gaps though).Sqeeze out some water , so it will still mold but not drip then leave to dry. No glue is needed which is not only cheaper but also lighter. The downside is getting it dry, but I have resorted to using a hot air gun to speed up process, very carefully so you don't set it all on fire. Any mistakes can be corrected, and as far as I can tell you can re-mash old material used, so if you change you model, just break it up and re-liquidise. One word of warning though, don't put the old squeezed out water down the sink, as there is enough paper fibre and starch type glue to block pipes. And if you want more info, google 'Paper casting'. It covers other things, and I prefer to think of it as real papier mache.